Does this mean no big MacBook Air revival today? In the hours leading up to the hotly-anticipated iPhone XS reveal, the names, sizes and colors of every iPhone set to be announced today were unceremoniously revealed through Apple’s own website via an XML sitemap file leak. However, nothing referring to the rumored MacBook Air 2018 or iPad Pro 3 were found in the file’s contents. Does this mean we’re unlikely to see either of these products shown off during the upcoming keynote? That’s what many experts are chiefly taking away from the omission. Of course, that’s a completely understandable assumption to make, considering that the Apple Store is down at the time of writing and is likely being populated with the URLs that had leaked through the XML file. If Apple didn’t have URLs related to this new MacBook Air or iPad Pro prepared in the file that had leaked, then it’s relatively safe to assume that these products are, in fact, not prepared for an announcement. This would certainly line up with related rumors that Intel’s latest laptop processors are experiencing shortages, which would almost certainly hold up a MacBook Air 2018 release. However, there aren’t any rumors related to the iPad Pro 3 that would support its omission from the XML file. In fact, the tablet seemingly already passed through the Eurasian Economic Commission for wireless communications approvals, something that generally happens late in a product’s pre-release life cycle. So, will we or won’t we see new iPad or Mac hardware from Apple today? That’s still tough to say for certain even with this information. 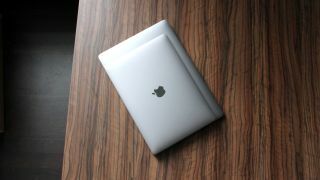 While signs are pointing to such announcements being unlikely, Apple could very well surprise us, or it could hold off at launch new iPads and Macs at a separate October launch event. Stay tuned right here for the latest.